A little paradise in a peaceful location, set amongst the vineyards of Kaiserstuhl and Tuniberg: The Flair Hotel and Restaurant Alemannenhof in Schallstadt-Mengen has an idyllic location, 8 km south of Freiburg. The ideal hotel for a relaxing holiday, short break or stopover on your journey south. As a partner hotel of the Flair Group, we provide all the excellent standards that define a 3 star superior hotel. All-year-round. 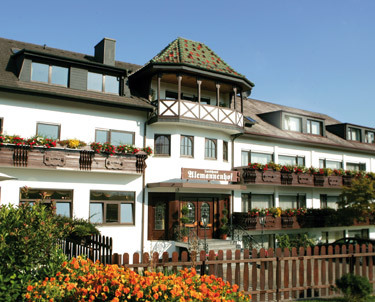 Rurally nestled amongst flourishing nature, you will feel really comfortable at our hotel and can enjoy the southern Black Forest in its full splendour.